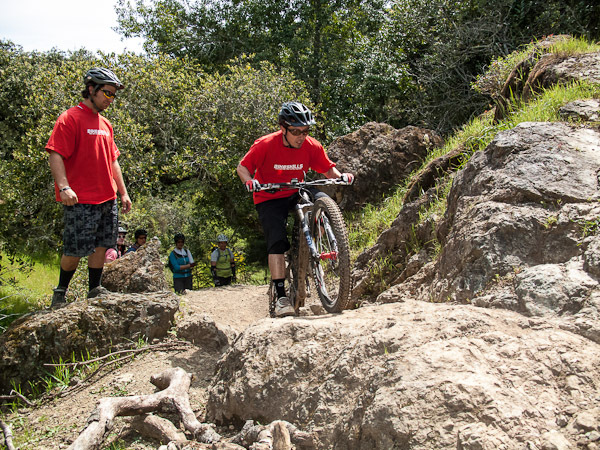 Did you know that Bikeskills offers clinics for small groups in addition to our regular trail riding clinics? All you need is yourself and three friends in order to get a personalized clinic that caters to the skills you want to focus and hone in on. 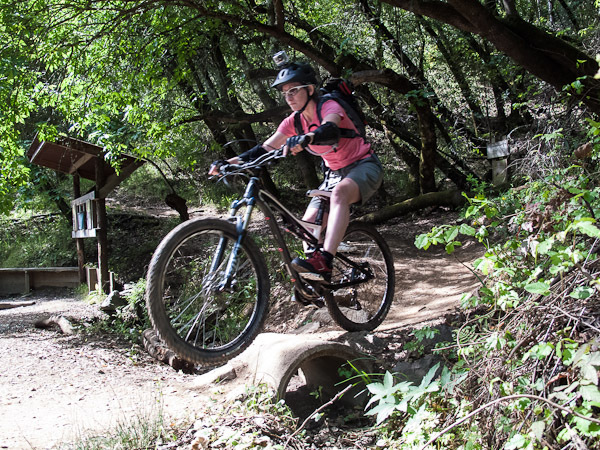 In fact, this month’s NorCal clinic was limited to ladies only, and these ladies took advantage of the personalized coaching from our team to work on their skills. 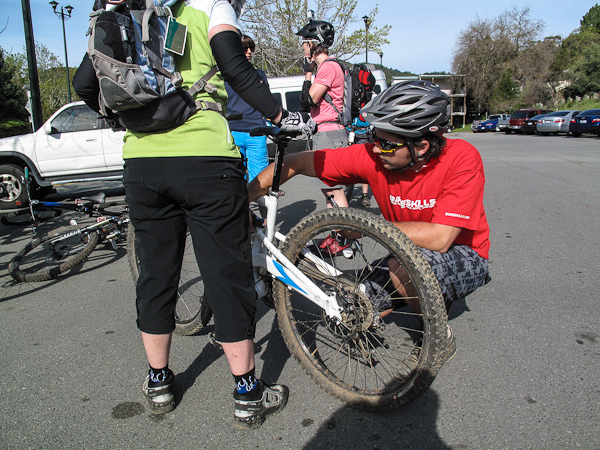 Bikeskills Instructor Mikey Haderer helps Deb properly set the sag on her front and rear suspension. We started off checking everyone’s suspension and cockpit set-up to verify sag was set correctly, tire pressures were set, brake lever placement was good, and riding positions optimized for handling on the trail. We then moved across the street to focus on dialing our riding positions. Mastering the neutral attack position is a key building block for progression! Mikey demonstrates a bunny hop from a track stand. Moving on, the group worked on some drills that emphasized working their range of motion, and unweighting their front and rear wheels. 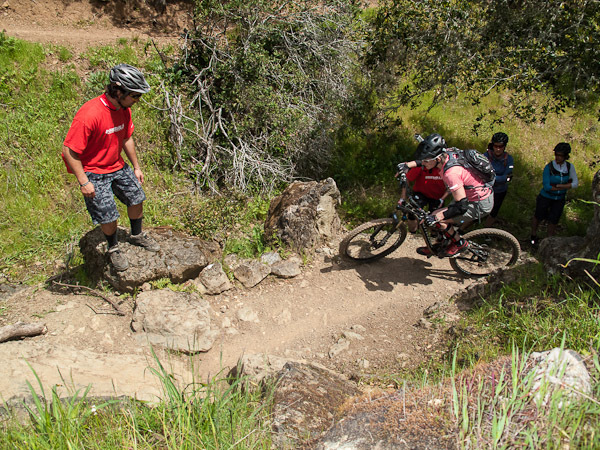 Bikeskills Instructor Jason Van Horn points out the optimal line for a turn. Emma demonstrates great form during an on the trail drill. 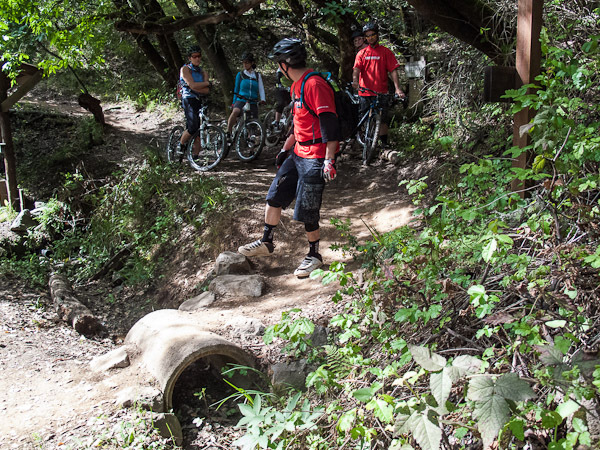 We covered a wide range of skills, both on and off the trail including how to climb and descend switchback turns. 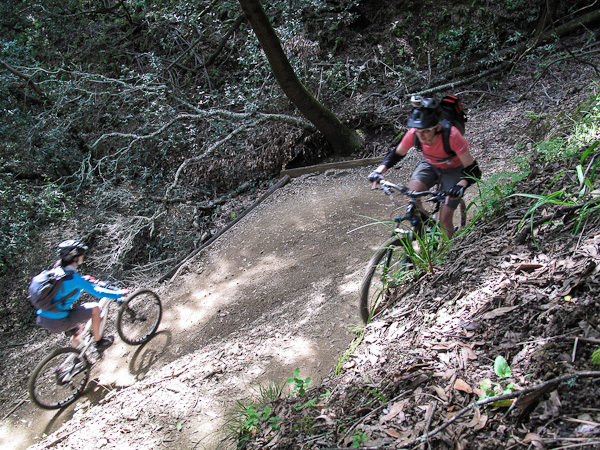 Emma and Heidi negotiate a switchback turn like old pros. All the ladies were climbing and cleaning the numerous technical switchback turns on the climb up after the drill- success is sweet! Jason demonstrates the best entrance line into this tricky climbing section, and how to best clean it. Emma attempts the most technical climb at Tamarancho under the watchful eye of our instructors- and almost cleans it! Everyone in the group showed remarkable progression over the course of the day. 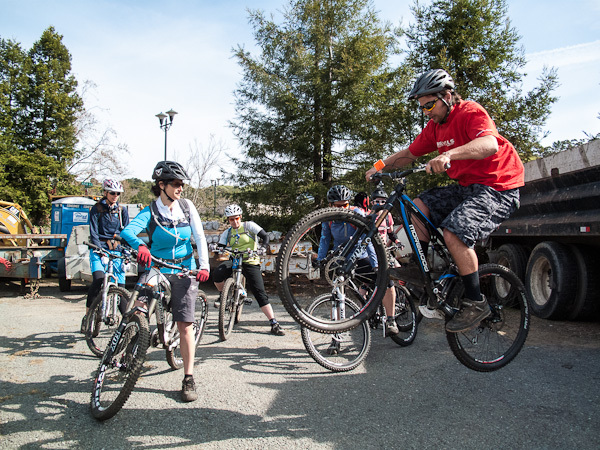 And the most important part is that everyone had a great time improving their riding safely. Thanks to Inga Beck for taking all the photos and organizing the clinic for the ladies. 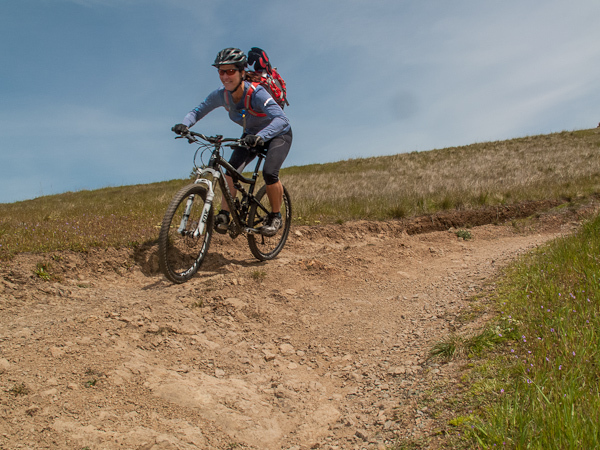 See you all on the trail soon!